It's too easy to miss our own surroundings. At the end of a day of cycling, the natural inclination is to hunker down in our motel room, download our photos, check email and do a bit of blogging. All we know of the small town where we are staying is the nature of the local environs of the motel. And that's not always very appealing. Often it is located in the “neon strip” portion of town, which seemingly leaves little to explore. In Crockett, our budget conscious efforts landed us in a sketchy neighborhood. The motel room was fine, but the short walk into town left a lot to be desired. Yet as we cycled out of town the next morning, we discovered a whole different side to Crockett, filled with tasteful homes, beautiful flowers and much more prosperity than we'd imagined from the crumbling town square. It made me realize I need to make more of an effort. With a short ride to our Warm Showers home today, we had the luxury of a free morning. 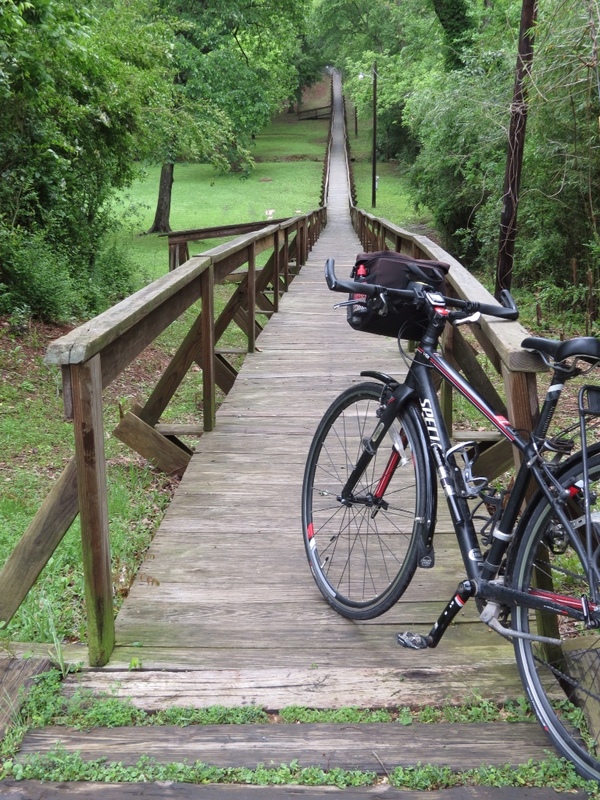 So I hopped on my bike, sans gear, to do a little exploring around the small town of Rusk. The initial draw was the Rusk Historic Footbridge, believed to be the longest footbridge in the nation at 546 feet. It was originally built in 1861 to enable folks who lived east of town to reach Rusk during the rainy season, and was most recently restored in 1969. I found it located in a pretty little park just off the town square, and traversed the entire length over and back. The town square was much like many we have seen throughout rural Texas. The County Courthouse sits in the middle, surrounded by storefronts. Unfortunately, many of those establishments are long gone, leaving empty windows and blanks around the square. 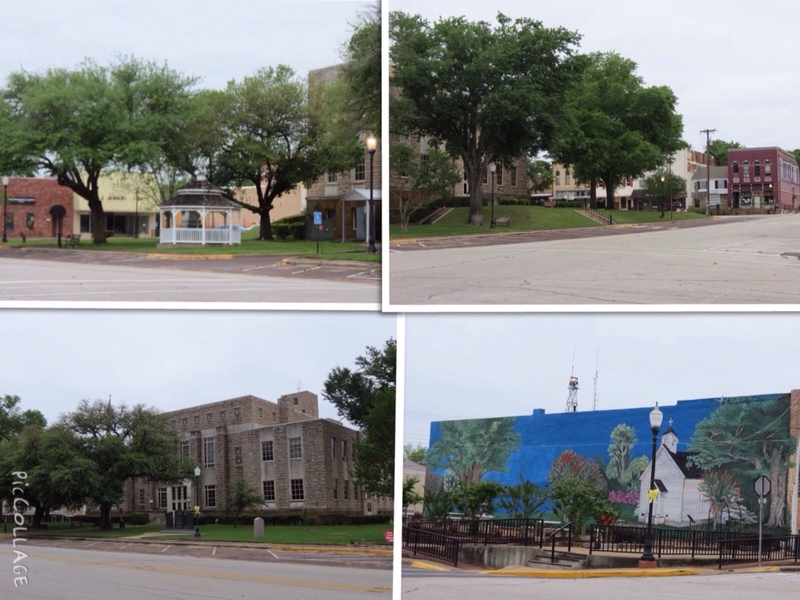 Rusk seems to have fared better than most, leaving an appealing town centrer. A colorful mural graced the side of a building on one corner of the square. Further exploration revealed some huge homes and nice neighborhoods. I have a new mission on this tour. From here on, I need to take the time to see what's beyond our room for the night. This entry was posted in Keeping Fit, Travel and tagged Cycling, Cycling Trip, Spring North Cycling Tour, Texas, Travel by Molly. Bookmark the permalink. Yes, even in the worst of places of my consulting contracts, I found surprising beauty, art of its own kind, aspects of local culture to admire and enjoy, as you seem to have in this daily blog.